The secret they’ve kept can either bring them together or tear them apart. Youngest sibling and only sister, Kim Luchetti returns to the Illinois family farm after her father’s heart attack. Eight years ago she vowed never to return, believing only distance would allow her to forget the tragedy that broke her heart. Returning means she must face everyone’s questions, including those of her first love, Brian Riley, the only one who knows her secret. Brian has always loved Kim, despite his hurt and anger over her having abandoned him when he needed her the most. When she appears at his farm, surprise causes him to tumble off the barn roof and break both of his wrists. Kim’s guilt makes her agree to stay and help him until he is healed. Living in such close proximity forces Kim and Brian to face the past and their unresolved feelings. Will talking about what happened help them heal? Or will the memories of their heartbreak keep them apart forever? 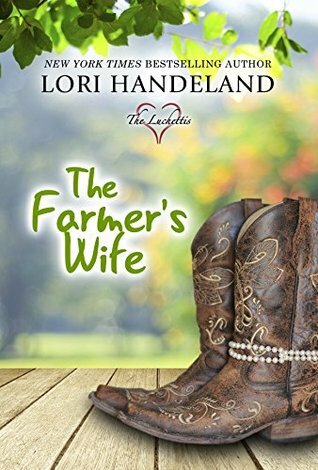 The Farmer’s Wife is the first book in the six book Luchettis Series by New York Times Best Selling author Lori Handeland. 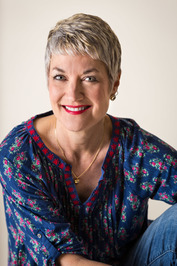 If you enjoy Kristan Higgins and Robyn Carr download The Farmer’s Wife today! The Farmer’s Wife by Lori Handeland is the first book in the contemporary romance Luchetti Brothers series. Each book in this series has a different couple as the main characters most of which are one of the many brothers from the Luchetti family so they could be read in any order. Now even though this is the Luchetti “Brothers” series this first book begins with the baby sibling of the family and the only daughter, Kim. Kim Luchetti had left her family farm eight years ago and vowed never to return but when her father has a heart attack Kim returns home to her family. When Kim left town she not only had abandoned her family but the first love in her life, Brian Riley. Brian stayed in their small home town so it doesn’t take long for Kim to run into him but when his surprise causes an accident Kim finds herself agreeing to care for Brian during his recovery. This first book of the Luchetti series had a lot going on in it while it tried to introduce this huge farming family along with a second chance romance. While the couple in question are facing their past the parents in the Luchetti family are also confronting their own relationship after the father’s brush with death. There’s family drama, secrets from the past, and plenty of emotion to make up this story. While I liked this first book well enough I do think it was a bit harder to completely fall in love with it with so much happening but it was certainly a nice start. Lori Handeland sold her first romance novel in 1993. Since then she has written over sixty novels, novellas and short stories in multiple genres–historical, contemporary, series, paranormal romance, urban fantasy, historical fantasy and women’s fiction. Lori’s next release will be her debut women’s fiction novel, Just Once. The story of two women who love one man, how their lives intertwine over four decades and how they come together to give him the best death that they can. Available in the UK September, 30, 2018 and in the US/Canada January 1, 2019. Sounds cute. I love these types of series, but going back takes a lot of time, that I really don’t have. Nice review Carrie. I like the setup for this one. It’s always a bit harder with trying to set the scene in the first in a new series. Hopefully they get/ got stronger as the series progresses. Yes, especially with such a big family so trying to bring everyone in and still do a romance was a lot to tackle.